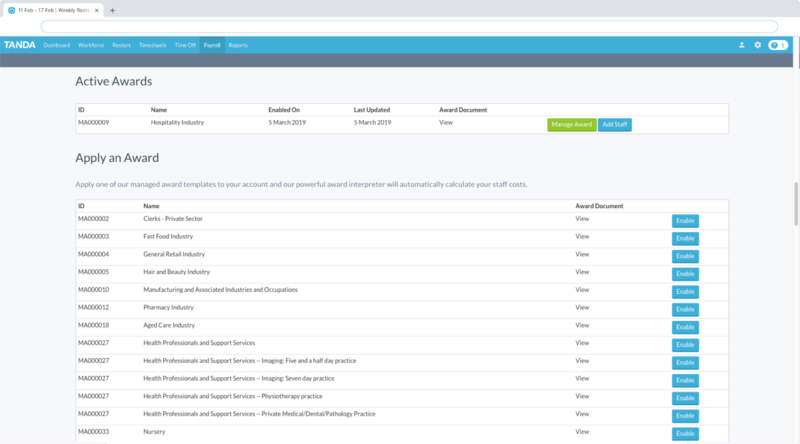 Ensure compliance for your organisation and always stay updated with complex payroll conditions using our best-in-market award interpretation engine. Most workforce management systems don’t have a built-in award interpreter; and for those that do, their calculations methods are limited, meaning staff are at risk of being paid incorrectly. Tanda delivers award interpretation that is 100% compliant with Fair Work and can meet your individual business regulations using our powerful award engine. Tanda’s compliance team can also provide better off overall tests (BOOTs), audits, and automated EA/award management. With specific experience in Australia and other complex labour environments around the world, our experienced team will ensure compliance for your organisation with total confidence. Our Managed Awards deliver confidence and compliance to networks by leveraging existing Australian Modern Awards pre-built into the Tanda system. Common awards such as the Retail, Fast Food, Hospitality, Restaurant, as well as over 40 other awards, are managed and constantly updated in-house for clients of all sizes. Workforce management is a business critical system that prioritises security and auditability. Tanda has a unique audit system that logs every keystroke with a digital signature from the user. 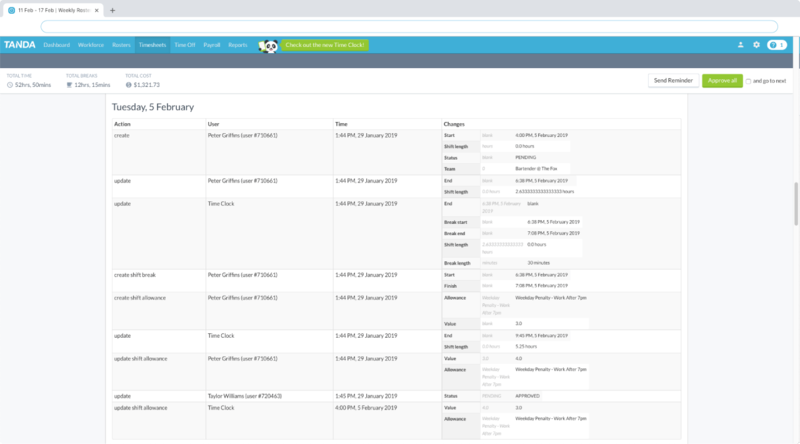 All of the rosters, timesheets, leave and other features are tracked and reported on. Payroll integrations are the Achilles’ heel of Workforce management. At Tanda, we turn weakness into strength by delivering best-of-breed API integrations with 50+ systems out of the box. Plus, our team of integration specialists can deliver bespoke and critical integrations on time, without error. Tanda stands out above other providers. Unlock labour efficiencies with Smart Services. 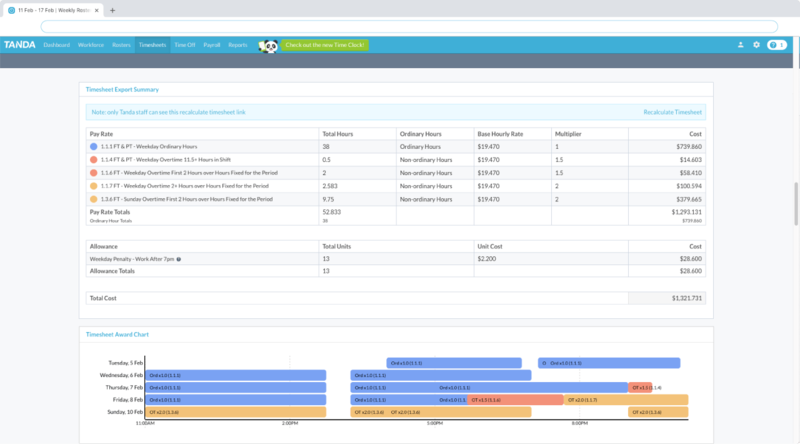 Leverage your existing data to forecast and build rosters in seconds that can be tracked against in real time. Our SAAS model means you only go through one change management process. Transition onto Tanda seamlessly with a highly experienced and flexible implementation team. will get in touch today. What is the Contingent Workforce and how can you leverage it in your business?